Müge Güner for Comité Directeur: "We All Belong to the Same Network"
Müge Güner is one of the very few members, who actually founded a new antennae in recent years. Now she wants to apply her experience as founder and president of AEGEE-Muğla as CD member. She is one of five candidates for four places. Check her interview! Müge Güner: I love to go swimming during the sunset and adore the colours while I’m in the sea. Literally my favourite times that I steal from life. Also I love singing, playing guitar and writing. Whatever I do, there is music in the background and I can’t imagine a Müge without doing these, this is how I express myself. My life is integrated with AEGEE, so I cannot divide my life into two parts like in and out AEGEE. I can only say before and after AEGEE. Not that AEGEE has changed me or my personality, but helped me to grow and gave me a different aspect of life. You have a relatively small experience with the international part of our organisation, having joined in 2016 and never joined a European body. It is a big leap you are taking. Why did you decide to run directly for CD? Wouldn’t have been more suitable for you to apply your knowledge about founding a local within the Network Commission? Firstly, I joined the Human Resources Committee, and I help them with Local Alumni Management. I also supported the Public Relations Committee for EPM Yerevan as AEGEE Fair Coordinator and I was communicating with the European Bodies regarding their needs for the fair. Moreover, I was an international helper during EPM Yerevan and assistant of the Secretary. Secondly, I am a SubCom for Spyros, who is my biggest luck in AEGEE, dear friend and walking encyclopedia. Thanks to him I learnt a lot and got familiar with the work of the NetCom. I decided to run directly for CD because I won’t try this again. I will be around to support this organisation, but the time for taking big leaps for my other passions and taking responsibility of my life is coming, too. Now I put AEGEE at the forefront. I might not get elected, that’s okay. This is the way I say I am one of you, and I am here for you. Your motivation is definitely a poetic love letter to AEGEE and its members. Concretely, what is the part of the association that pushes you to devote one year of your life to AEGEE? During my first agora, I remember how much I was amazed by the discussions made by young people who come from different countries. They had different backgrounds and cultures, English was second language for most of them but they were able to express themselves perfectly, within the framework of mutual respect. I decided it was the most democratic environment that I’ve been to and I made the right decision being a part of it. My motivation behind being an AEGEE member changed when people started to thank me for introducing AEGEE to them. I feel lucky for founding AEGEE-Muğla when I see I did something to be of use for a lot of young people in our city. And taking these into consideration, nothing pushes me to devote one year of my life. I can commit my life for this. One point of your program is dedicated to bridging the gap between working groups and locals. The current working groups put a lot of efforts in being visible, organising activities during the month dedicated to them, organising conferences and workshops. What do you think can be done more? How would you help locals and WGs to cooperate? I’m positive that the current WGs put a lot of effort in being visible. While saying bringing WGs closer to locals, I perceive this gap in terms of communication. Because when it comes to communication, what you say is what the other party understands. If we canalise this fact to the relation between WGs and locals, we can say what WGs do is what locals get from their work. Therefore, my aim was to emphasize the need for locals to get integrated more by organising activities contributing to our focus areas. For WGs to reach locals for their projects, promoting them or measuring how many locals are doing it might require a huge amount of work. However we could help locals to organise activities contributing to focus areas by using the guidance of locals that are contributing to this. In the part of the program about Network Enlargement you wrote: “If even half of the Netcom team founded one local during their term, it would be a satisfying start”. Founding a Contact can be seen as an easy task, but the difficult part is to transition them into healthy Contact Antennae. What will be your criteria in approving Contacts? What is your strategy in supporting Contacts in the – also administrative – passage into Contact Antennae? In addition to the antenna criteria, I would give priority to one case before approving contacts. I would contact the people – not just the person that submitted the documents – who were interested in founding a local and learn what they have in mind, what they expect and how much they know. By doing this I would see if there is a team, so that one person doesn’t have to deal with everything, so that the process won’t be tiring or demoralizing, and how I can support them. Then I would try to keep in touch regularly, support them with online trainings and encourage experienced locals to contact them. After becoming a Contact, apart from the criteria, I would make sure that they were having the trainings that they need and provide them with knowledge transfer. Because inner motivation mostly comes from the knowledge. Can you please elaborate your idea of the Alumni Network that you have in mind? Maybe it is better to call it Local Alumni Management so that it doesn’t remind people of Les Anciens or the NetCom. We are already working on it as Human Resources Committee, thus it’s far from an idea. We will provide locals with a toolkit and I am currently working on its content. To carry it to the next level, what I could offer as a CD candidate would be creating space for people who can help us with their knowledge and experience to organise workshops and trainings during NWMs or statutory events. Also we could encourage our locals to organise some activities with their alumni to keep them close to each other. 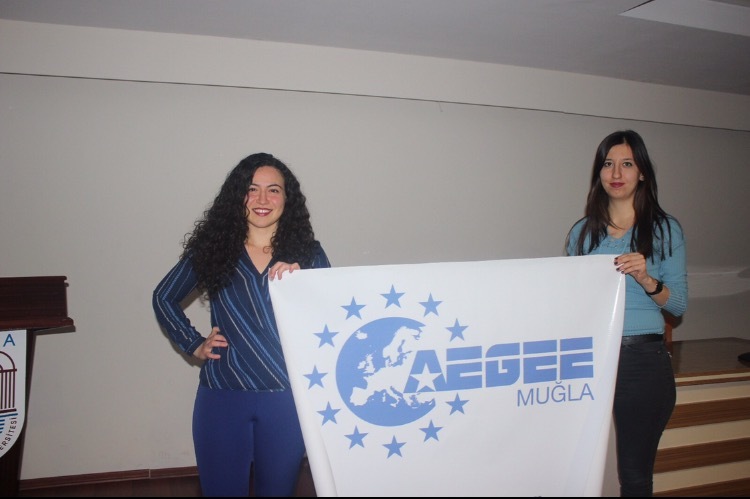 It has been very challenging for AEGEE-Muğla since we didn’t have any alumni, therefore I feel pretty concerned on this matter. Outside or within CD, doesn’t matter, I will be helping locals that don’t have an alumni system yet to create it. You want to encourage locals to organise more trainings, but the pre-event in Warsaw was cancelled, the ES1 in Enschede as well. What is your strategy to implement trainings in AEGEE without the risk of cancelling events? There can be many reasons for an event or a training to be cancelled. Every reason must be dealt with a different strategy. Since we don’t have control over everything, it would not reflect the truth if I told you that we could implement all our trainings without the risk of cancellation. However we can try to reduce that risk with focusing on the fields we can control. We can support our locals in the fields of human resources, fundraising, trainers – even logistics maybe – and help them with making their events. Apart from this, we can also work on online trainings and workshops, it’s effective and cheap and we can recruit people who are interested to get trained or develop skills. You are speaking about the transregional cooperation between locals. What are your concrete plans to make this possibility happen? The way I pictured it was to encourage locals that come from different parts of the network to discuss different topics, rather than limiting this as a project which will be held in a limited area. I think people who have different backgrounds, different cultures and different way of thinking can contribute to each other a lot. The events, conferences and NWMs are perfect environments where we can have a mixture of people, who come from different parts of the network. These events can lead to great projects and initiatives that engage locals from different areas on different fields. For example EPM Yerevan gave Turkish and Armenian speaking locals a great chance to get closer to each other and discuss a cooperation. We can help locals to get in contact to each other during these kind of events. What we could do afterwards could be organising exchanges and events with those locals – or we could also work on online workshops. “During my struggle to found a local, I had to build three teams and find new people. Luckily I can say that I know how to gain people and I would love to help AEGEEans with it for the whole network’s development.” What was your strategy in finding members? And how would you translate it to the Network? I attended some activities that other communities organised in our university. During those activities I intentionally met some of the organisers that seemed responsible. After having a chat about their events and giving them feedback, we started to talk about other things and exchanged numbers. I repeated this till I built a team. I became friends with those people. In the meantime I was talking about what I was up to and promoted AEGEE. When they saw that AEGEE offered them more than their communities did, they decided to join AEGEE. But during the seven-month founding process, some of them lost their motivation and quit. I got my first lesson there: to keep people motivated, keep them on the move, be active and organise events or after a while they will lose their interest. The best way to translate it to the Network is organising activities regularly, to keep existing members and attract new ones. When we keep on organising events with quality, our members will recommend AEGEE to their friends, and they will spread the word. Also we can support this with a good PR strategy in our locals. After a while people will approach you themselves to learn how to join. Network enlargement. Map out the cities where a potential contact can be founded in collaboration with NetCom by the end of September. During the following month, contact the stakeholders in the cities. Introduce AEGEE to them and see if they are interested. If they are interested, organise a local event with them to introduce AEGEE. Send someone – a CD member, NetCom or experienced member who is close to that city – to make the presentation and talk to people who might be interested in founding a local. This person also can be a mentor for them. The exact timing for this can vary due to the availability of the stakeholders or the time in which they reply. After the local levent, get in touch with the potential board of the contact. Meet and talk to them about the process, provide them with needed information. Follow up the process, make sure they provide the needed documents and submit them. Then get in touch with them for knowledge transfer and for the next steps that should be taken. If we can manage to set everything right, they can be upgraded to Contact Antenna at the spring Agora. 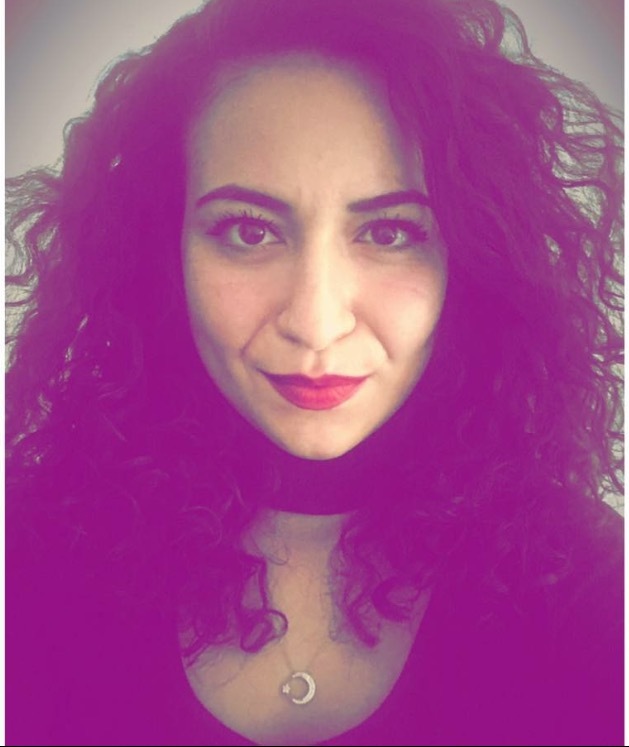 Gül Hira Nur Turhan, AEGEE-Eskişehir: How do you think you can develop the entire Network, while you have communication problems with the locals in your area? Dear Hira, I don’t have any idea what you talk about since I don’t remember discussing any of my hypothetical problems with you and this question doesn’t have any basis. I can only make assumptions on what you try to say and talking on the assumptions doesn’t seem right. Please don’t hesitate to contact me to share your concerns on this matter and then even come to the Agora stage with this question telling me about whom I have communication problems with, what your source of information is and what led you to think like that. I will be delighted to enlighten you with true information. 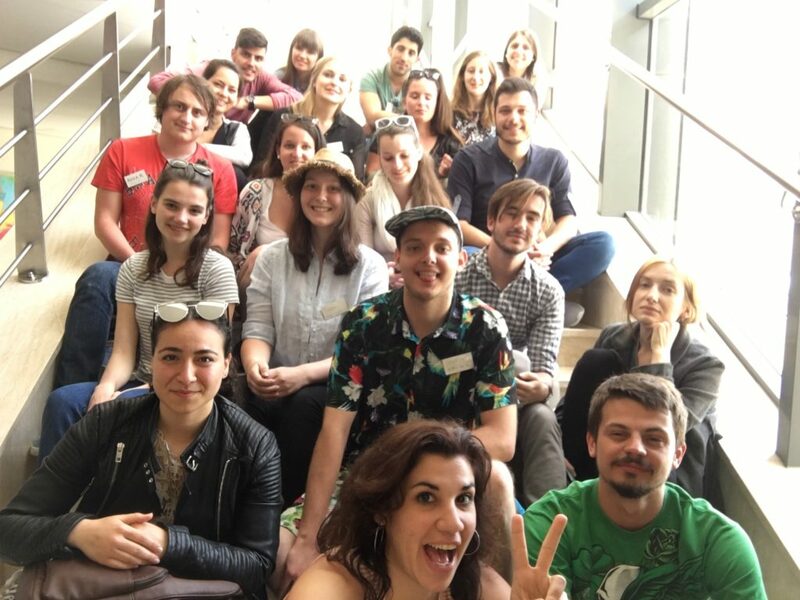 Oğuzhan Ayhan, AEGEE-Ankara: Without even knowing how to organize a European Event and not knowing the situation of the Turkish Speaking locals in your own area, do you still think it is a wise choice to run for the Network Director position in the CD? Dear Oğuz, I believe these wouldn’t be the words you used if we didn’t communicate in another language, since I know you’re a nice person and don’t actually mean what you say to me. For the argument of not knowing the situation in my own area, AEGEE-Muğla was in the same distribution area with Turkish speaking locals last year. While founding AEGEE-Muğla, I went over Turkish speaking locals’ statutes and then sent ours to two other ones. So I know the situation. Also, since there is no national level in AEGEE, Turkish speaking locals cannot be my own area. I don’t believe this is the mindset a Network Director should have. Besides, I’m SubCom for a different distribution area that includes locals from different parts of the network, which helps enhancing the diversity and increases the interaction. Apart from this, I’ve been always happy to communicate with my friends from your antenna and other Turkish speaking ones. For not knowing how to organise a European event, I know it in theory. Although I have experience in organising events practically, AEGEE-Muğla hasn’t been given the chance to host a European event yet. But we meet and organise activities regularly. For further info, follow us on Instagram and Facebook. And you’re always welcome in Muğla! Question 3: Based what happened within CD55, how would you prevent resignations within the team? I know it is challenging to live with six other people who come from different countries, have different cultures and habits since I’ve been through it. Before getting to know each other in the same house, we can tell what we like or don’t like and set our rules. To do so, we reduce the risk of conflicts caused by personal reasons. On the other hand, we can only control our own behaviour and be responsible for it. Thus I can say that I wouldn’t leave people in the lurch who trusted me for protecting our network but how can I hold someone who doesn’t share the same feeling with me on this? Question 4: Since your local is in Turkey, you could get closer to Turkish Speaking locals and learn local management from the experienced locals, which have their specific regulations, law and culture. Instead, you decided to join another area. Do you think the decision proved to be good or not? We all belong to the same network. 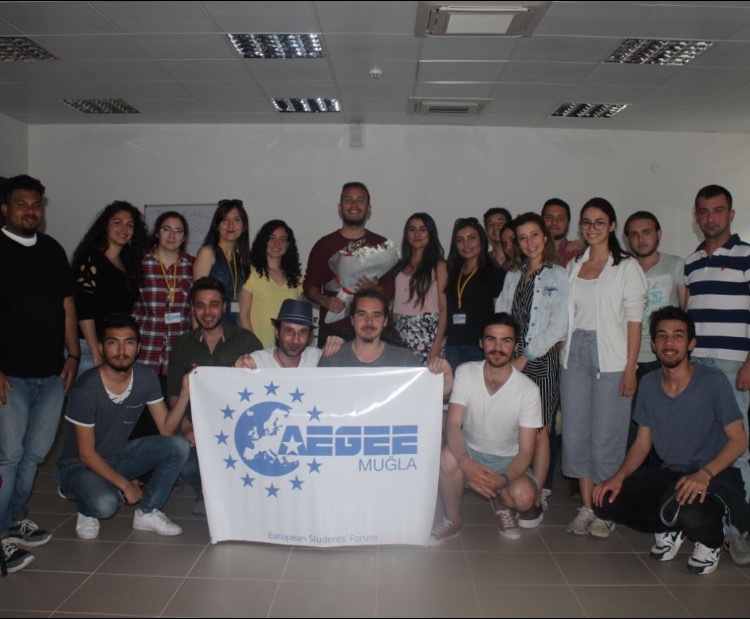 Does it matter which distribution area AEGEE-Muğla is in? If this is going to prevent us to collaborate with or learn from each other what is the meaning of this? I don’t think this mindset helps us to create the borderless Europe we strive for. Let’s don’t create extra borders, there is no need of them. Apart from this, every local is unique and has their own regulations, law and culture. 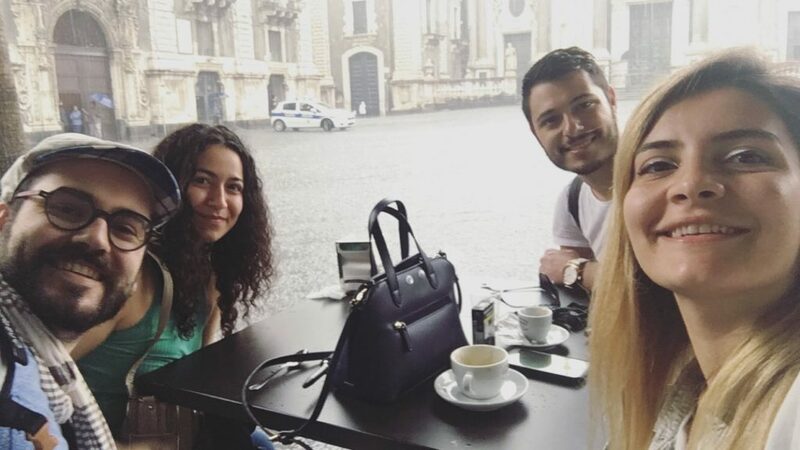 Last year AEGEE-Muğla was in the same distribution area with them so we already know each other and we are friends. Also, I am a SubCom for a different distribution area which includes locals from different countries and the outcomes of this experience is huge. I think this helped me to have a better understanding of different parts of the Network, this is something a Network Director should have, and learn how different locals function instead of one country’s locals. Therefore the decision proved to be the best. Question 5: In addition to this, you participated in many events, but your members couldn’t for some reasons, like the Agora. Do you think you transferred to your members most of the experiences you got from those European events? If you think yes, why couldn’t we see any events organized by AEGEE-Muğla? If you think no, how do you think you can contribute as Network Director when you can’t transfer your knowledge and experience to your own local? Aside from my members, I even made knowledge transfer for some other Turkish speaking locals’ members on the topics of Intranet, being visitor, envoy and delegate, registering the outgoing responsible and I arranged a Skype call with our CIRC responsible for them. Apart from this, we regularly organise events. We have just started a self development program which will take eight weeks. We organised cultural trips nearby, an LTC and many workshops. The only reason you didn’t see a European event is logistics and timing. We applied for hosting a NWM twice and a European School once, in one year. If you’d like to know more about out activities, like us on social media! Question 6: What do you think about the antenna criteria proposal proposed by CD as a candidate for Network Director? I perceive AEGEE as an organism. It was born and now it is growing. Therefore it is normal for it to change and develop during the process. But these changes should be handled with carefulness, otherwise they can result in some serious problems in the future. Yet, I am positive that the Agora will handle this in the best way.